New Ukrainian start-up Dream Wind Airlines operated its first commercial flight – from Kyiv to Turkey’s leisure destination Antalya – on September 9, the airline based at the Ukrainian capital reports. 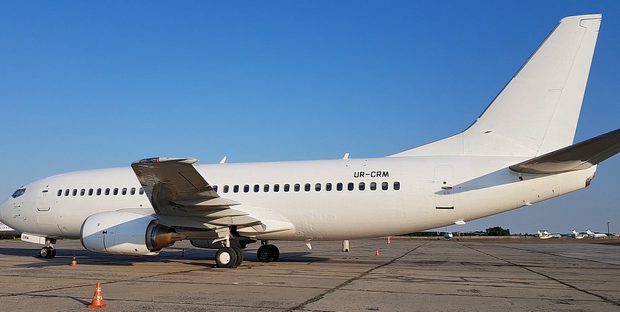 According to its website, Dream Wind was founded at the end of last year and, in July 2018, received its Air Operator’s Certificate (AOC) and its Licence from Ukraine’s State Aviation Administration to provide services ‘for passenger air transportation’. The airline plans to operate flights from four key Ukrainian airports: Kyiv, Zaporozhye, Kharkiv and Odessa, with a strategic goal ‘to develop as many directions as possible and expand the fleet in accordance with market requirements’. Currently, the new airline’s fleet consists of just two 27-years-old Boeing 737-300s, which were acquired in March and May 2018 and are now sporting tail numbers UR-CRL and UR-CRМ respectively. Each aircraft offers a capacity of between 148 and 144 seats. The airline’s director is Nikolay Savostyanov and company shareholders are Anatoly Kuksa and Egor Romanenko. Dream Wind is the second Ukrainian airline to start business this year. SkyUp Airlines, another Kyiv-based operator, commenced its flights in May using a pair of Boeing 737-800s. International charter flights to leisure destinations is now performed on behalf of the carrier’s strategic partner Join Up!, which is one of the country’s leading tour operators, the owners of which are also the airline’s founders.